With the unveiling of the Levante almost three years ago, Maserati entered the SUV segment for the first time. 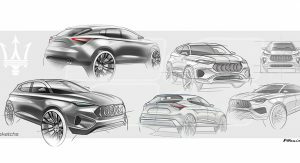 The Italian car firm’s answer to the Porsche Cayenne, Mercedes-Benz GLE duo and BMW X5 and X6 did expand the brand’s portfolio into a lucrative market, though sales didn’t meet expectations. While its main rivals all have smaller SUVs to cater to their clients’ needs, Maserati is left without such a contender. 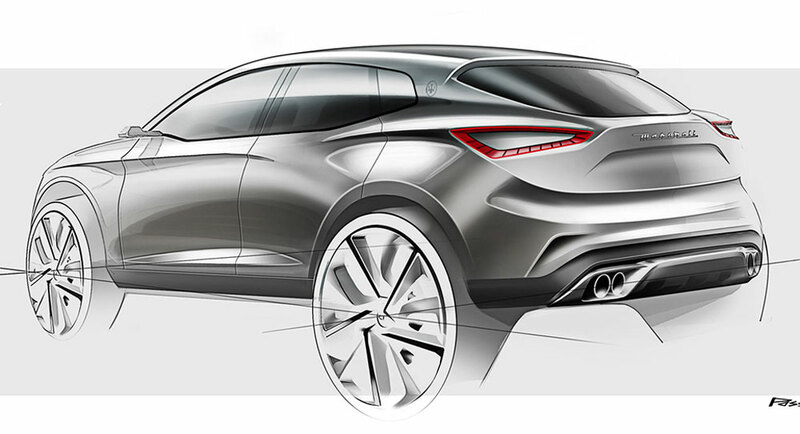 However, such a model has already been sketched – only not by the automaker, but by rendering artist Vito Possidente. The Karif, as it is named, has a very dynamic exterior design. 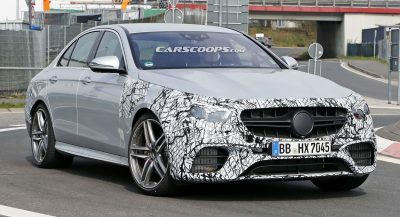 At the front, it carries the car brand’s signature grille, flanked by a couple of fog lamps, which sit under the slim headlights. 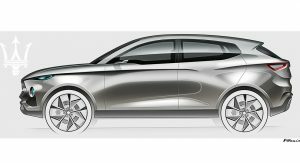 An aggressively styled front apron, hood, wide fenders, curvaceous rear end, sloping roofline and large wheels complete the design. 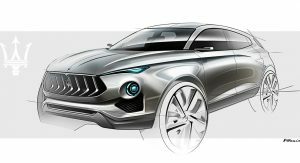 A compact crossover by Maserati would enter a much wider market segment, rivaling the likes of the Mercedes-Benz GLC and GLC Coupe, BMW X3 and X4, and Porsche Macan. 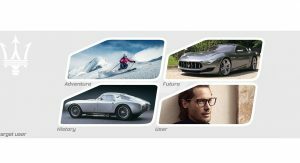 Whether it would be able to convince enough buyers is a different story altogether, but given that consumers still flock to SUVs, we wouldn’t be surprised if Maserati eventually made such vehicle. 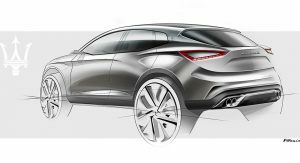 Especially since sister company Alfa Romeo already has the Stelvio on the market, which could be used to underpin a smaller Maserati SUV. Go ahead and waste money on this, FCA. While many products in your portfolio rot on the vine. Grand Cherokee, Durango, Journey, etc. While I do agree with you. The Grand Cherokee (at least that vehicle itself) to my knowledge is still a great and capable vehicle (typical FCA issues aside), and if they needed they could stretch it’s life out quite a bit longer, as I don’t think it really ‘needs’ a replacement or a re-fresh just yet. 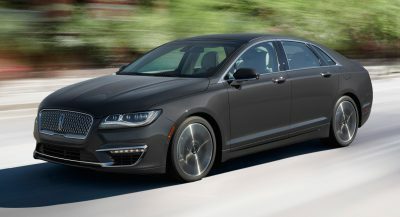 BUT I will say that while the vehicles you mentioned are fine, FCA has A LOT more vehicles to worry about (regarding getting them up to proper speed) that are in a much worse place than the Grand Cherokee, Durango, & Journey. So you do get an up-vote from me, but I think there are MUCH bigger issues for FCA currently at hand. Build it and the rich will come.. I don’t think this design language is suiting Maserati well. I think their current SUV should be as small as they get. Absolutely. If you’ve ever seen the Levante it’s not the size of a Porsche Cayenne, but more so the size of a Porsche Macan or Honda CR-V. The (AS A EXOTIC-LUXURY (not a mainstream) AUTOMAKER) they should most certainly not go any smaller than the Levante. #2. Regarding the design language, I agree with you, but only 50%. I think it’s a great design language, But it has yet to be implemented properly on ANY Maserati vehicle currently available. This design language was shown to work quite well if implemented properly. 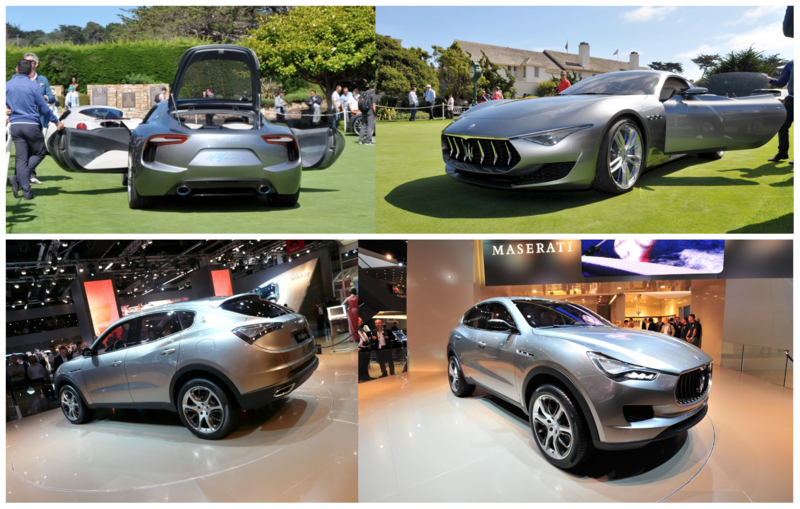 2 Vehicles that had this design implementation done right were; the Maserati Kubang Concept, and Maserati Alferi Concept (both shown below). … And neither of which have been produced as promised by the Maserati brand/automaker (as Maserati has tuned this design to be more sharp and aggressive and then slap it onto their current line-up). 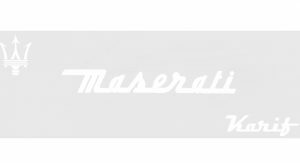 Lastly (and on a totally different note) Maserati has a great deal of problems, and to be quite honest I think that they need to focus on fixing their company (image-wise, vehicle-wise, practically-anything-you-can-think-of-wise). Once they do that, only then do I believe they can begin once again considering (not replacing or removing, but instead) adding, to their current vehicle line. What on earth are you talking about? You just proved everyone that you never seen a Levante. Levante is bigger than Cayenne in every dimension, it’s even bigger than a full size Range Rover. Compared to the Cayenne it’s wider, almost 15cm longer, and even the wheelbase is 20cm longer. If what you say is true, then you’ve never seen one with your own eyes, or compared it to the size of a “Full Size Range Rover” or a “Porsche Cayenne” nor have you been into either of those vehicles, or at least it seems. (But I won’t assume anything about you) Both vehicles are considerably taller and are more sizable ‘SUVs’ by todays standards (opposed to being a just ‘crossovers’). Both of which are larger vehicles. You may be basing it on the figures you read online, but if you have ever seen this vehicle in person (or been inside of one), you will know it in it’s own right is much smaller than both the Range Rover and Porsche Cayenne, especially when it comes to the interior, and it is lacking behind both vehicles as well. In-fact the new Lincoln Aviator actually has a nicer and larger interior than found on the Levante. I would suggest doing a bit more research on the vehicle ’beyond the spec sheet’ if your going to criticize someone or make statements as you have. My POINT was referring to the design language of Maserati and how it has not been implemented well on their current line of cars , not to go into detail about how the Levante (based on actual (‘real-world’) space) is small in comparison to the vehicles it want’s to compete with. 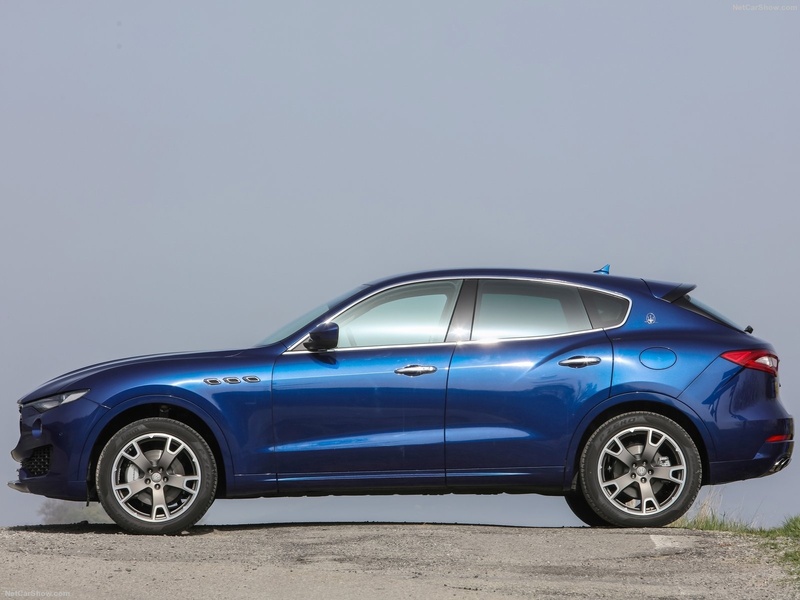 Maserati and FCA are capable of so much more, and another SUV is not what they need at the current moment. Either way, I wish you all of the best. You’re the kind of person that just likes to talk for the sake of it, right? Yes, you can point out the spec sheet as long as you may desire, but that does not (as I stated before) account for (or change) the length of the hood, trunk space/size, cabin dimensions, etc. Also you did just prove my point in regards to the height of the vehicle. Interior cabin & cabin space (Size & Width) Head Room, Leg Room, Shoulder Room, adjustability. How long is the hood? How wide are the fenders, how efficiently is the cabin space being used? How big is the interior (specifically the seating area)? The prior aspects listed are factors you are not accounting for pulling specifications sheets from the internet (and I didn’t even mention the hight, but why should I, you’ve already posted and proven my point there as well). Again If you’ve ever been inside of any of the following vehicles; Cayenne, (not the evoque, Velar, or Sport, but the full-size) Range Rover, and/or the Levante, you would understand that the Levante is more comparable to the Porsche Macan (in regards to useable interior space) and usable size. It’s clear your looking simply at spec numbers rather than actually looking at the vehicle itself, and that you simply seem not to have had any personal experience being within any of these vehicles comparing them. If you need an example another example of vehicle proportions, take a look at the Fisker Karma and the Mercedes Benz S-Class and their spec-sheet. The Fisker is (‘on paper’) longer, wider, and more efficient than an S-Class, but where the S-Class’s cabin is comparable to a full-size sedan, the Fisker is more comparable in interior space to a Mazda 3 mid-size vehicle. I have been in all 3 vehicles (in-fact I have been inside of all 5 vehicles mentioned in this post), and while the Levante on paper is larger, it is more comparable to the Macan, and that fact is simply that. So again, don’t just read what you see on paper and on the internet. Please take the time to actually evaluate the proportions and dimensions of a vehicle (through images or preferably in person) before making statements and/or assumptions. The main difference between me and you is that I have close friends that own Cayennes, and more than one time I had a loaner Levante, so I actually *know* what I’m talking about. Prove that you’re not just a troll and go sit in/test drive a Levante and a Cayenne (should be fairly easy) and come back to apologize about what you said about dimensions, interior space, and whatever else you ranted above. I will be willing to give you a pass for not understanding that design can make look things look delicate and small, while having great packaging, not like tanks, or bricks on four wheels as the Germanic school of design loves. As for the image it’s not photoshopped. It is a press photograph I pulled from the website “NetCarShow” of the Maserati Levante. Here is the original image (below), (see, not photoshopped as you claimed it to be). Also understand that I know what I am talking about in regards to vehicles, I previously worked for an automotive publication (but I don’t think it’s necessary (unless you need me to) to display to you my full credentials for the sake of an argument), but know I was required to test all of these vehicle in the past extensively. Also, Name calling, and making assumptions about other people is not something I don’t advocate but is something your clearly believe in doing (as you have clearly done). It does not affect myself, and it will get you nowhere honestly. I have wished you well, and I personally don’t know how to be any more nice and/or polite with yourself, while remaining integral to the facts I have knowledge on. But if negativity is what get’s you off, then that is you, so be it. You can believe what it is you would like to believe. But I suggest you take what I have said, complete the research, and see for yourself. Again, I have already proven my point and Your obviously seriously upset about that. I believe there is no need to continue this conversation. For now, agree to disagree. You can be a rocket scientist, literally, that doesn’t qualify you to make assumptions about a car that you never seen with your own eyes. As I said, go test drive one, then come back with your conclusions. If you were a journalist, than you understand the concept of packaging. As for the PS remark, I meant you should waste your time doing a side by side with a Cayenne. Europeon,. You are the only person here making any sort of assumption. In fact you’ve made (not a lot, but) some slight contradictions to statements of your own. You assume that I have never been in or driven any of the vehicles mentioned. Your (seemingly ‘hellbent’) attempt to prove your assumption and/or theory is futile, and you are wasting your own time, (as well as my own). Why is it futile? Why is it a waste of your our time? Simple,. You can’t change facts. 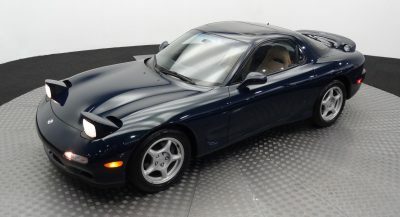 Europeon, the fact of the matter is that I have been in, driven, know about, and have examined, all of the vehicles I have mentioned in the prior sub-posts/replies to your original retort/incorrect assumptions of myself. 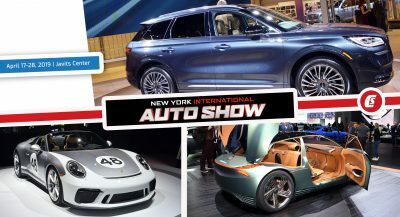 These vehicles include: The (Land Rover Range Rover, Maserati Levante, Porsche Cayenne, Mercedes Benz S-Class, Porsche Macan, & Fisker Karma), aside from the Aviator as that is not publicly available yet. Europeon, You seem to be calling me a liar. That’s your opinion, but it’s not a fact. It is just your own opinion, and that is that. If you feel as though I am, just point it out to me, and I will happily correct you to where you are/may be mistaken. Maybe you misunderstood something I have said, I don’t know, But I (have not, and) won’t make any assumptions and I don’t think you should either. Again, I would prefer not to continue arguing as it is quite tiring. Hopefully I can help you sort our any misunderstanding you may have, just let me know. Also (regarding your other statements) yes I am familiar with the concept of packaging, and in regards to the PS remark; thank you for clarifying that. I have time, but not that much time. What time it is I do have, I would prefer not to waste. So until the next time, you decide to reply: I hope you stay well, & I hope you stay happy. the levante is riding in the same platform as the grand cherokee, you cannot compare it on interior size with the macan. I have been inside the cayenne, macan, levante, range rover sport, evoque, velar, ftype, disco5. I will say the levante feels more like the velar interior size it is more cramped than the cayenne for sure. Europeon was referring to (not the Velar, Evoque, or Sport, but) the full-size Range Rover. I originally was mentioning vehicles around the size of the Grand Cherokee, but the Jeep may have been a better example to compare it to. But regarding the Velar, I will take your word on it as it is the only model in the Range Rover line I have not been inside of (at least regarding the rear seats) just yet. Also, As for it being more cramped internally than the Cayenne, 100% agreed. No it’s not based on the GC platform. It’s based on the QP/Ghibli platform. Facts are fact, nomatter how lengthy your posts are, and how many bold sentences and words you use. Levante is based on the Ghibli platform which is basically a short wheel base Quattroporte. You must know what hardpoints are in a platform, and that will easily tell you how big exactly is a Levante (and Ghibli) inside, as they share the same interior dimensions with a car in the same class with S-Klasse/A8/BMW 7. If you are talking about the rear legroom, that laughable. I guess if you apply the same flawed logic, you’ll end up comparing a Skoda Superb with a Rolls Royce Phantom. Um… You do realize the contradiction within your own statement (as well as the prior statements) you have made, correct. So what you are telling me is; that the Levante & Ghibli both “basically” share the same interior size. 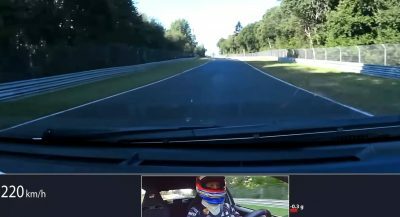 (Which proves my point in regards to it being closer in total interior passenger space/dimensions to the Porsche Macan.). What you are also trying to say is that; both the Ghibli & Levante are comparable in size (in regards to interior space) to the Mercedes Benz S-Class, BMW 7 series, & Audi A8… (If feel slightly bad for laughing at this, I do apologize, so please forgive me.). You’ve literally just proven yourself wrong (regarding your position within this ‘debate’) with your own facts . You do realize that correct. Also, You do know the difference between a vehicle platform and a vehicle chassis, as well as how that applies to vehicle production, correct? In regards to my own point. Actually take some time, and look at the examples I have provided regarding the difference between a vehicles total exterior dimensions and it’s passenger interior space. Specifically Fisker Karma vs. the Mercedes Benz S-Class (exterior dimensions vs. inter dimensions) that I gave to you before. You continue to try an disprove facts & (again) Your (seemingly ‘hellbent’) attempt to prove your assumption and/or theory is futile, and (at this point slightly amusing to watch, but) you are wasting both of our time. As I said before, and will say again; If you feel as though I am wrong or lying, just point it out to me, and I will happily correct you to where you are/may be mistaken. If there is any form of misunderstanding,. allow me to know.. and I will properly correct you on what it is you may lost about. As I said before… Just ask. Quattroporte VI, Ghibli, and Levante, being basically the same car, with the exception of the rear leg-room, have the exact same interior dimensions. FFS, they share every bit of interior (with the exception of the top dashboard design) – seats, center console, door panels, all are the same. If you have actually read anything I have written down, you will see that I am not referring to the ‘total interior dimensions’ (as that partially includes cargo space as well) and I am specifically referring to the ‘usable passenger space’ (as I have mentioned before and made clear multiple times to you to no avail). You seem to not read what people write and simply gloss over that examples and facts already provided directly to you. You have also still yet to point out specifically where it is you assume and believe I am wrong. As soon as you do I will gladly correct yourself on any misunderstandings you’ve had, As I have said before. So if they are “Basically” ’the same’ then that means your prior statement regarding them being “the same size” (again, regarding useable passenger interior space) as a full size Range Rover, BMW 7-Seies, Audi A8, and Porsche Cayenne, are wrong. As I said before your simply proving your own self (along with your prior statements) wrong, in relation to the point I am, and have been, making. For the last time: Ghibli and Levante have the same exact interior dimensions as the Quattroporte VI with the exception of the rear legroom. Arguing with you is pointless. You refuse to acknowledge FACTS. If there is the ’exception of rear leg room’, then it is not the same. Am I wrong? (If your believe that, feel free to attempt to prove so). If there is less rear leg-room the than (to my point) usable passenger interior space (not the same as the total interior dimensions)… then it (‘it being “usable passenger interior space” as i’ve stated many time before) is smaller. Again ‘For the last time’ ; total interior dimensions (especially/specifically when it comes to SUV’s, Crossovers, & Hatchbacks,) includes things such as the boot (rear cargo area), things that should not be accounted for when considering “usable passenger interior space”. You’ve already proven yourself wrong, or contradicted your own statements (both (and this is important) in relation to the point of which I am making), There is not need to continue going on with your information as it does not change the facts that I have presented you with. So finally I will say this again because you seem to misunderstand: “total interior dimensions, do not equate to; usable passenger interior space”. I’ve laid out the references, examples, and FACTS for you (all above (within the prior sub-posts))… all of which you ignore. If there’s anything else you misunderstand (and need assistance understanding), again Europeon, just ask. If there is nothing else Europeon, then I hope you have a cool day. Sure, whatever you say. I didn’t even bothered reading your post. I don’t know how you are in person (as I won’t assume I know you as you do to me), For all I know you could be a genuinely nice person. But based on the way you have acted, you seem and appear to be someone who; is clearly upset, quite negative, and makes assumptions and claims regarding others without facts or knowledge to back them up, as you have already proven. … All because you can’t prove the facts, examples, clarifications, and depictions, you have been provided with, wrong (Because they simply aren’t incorrect, with the unchangeable fact that what I have stated regarding those things is true.). Like I said before seemingly ‘hellbent’ to do so, (to zero avail) and wasting our time. I won’t empower your own negativity, therefore I can only (hope in the future you can be faux condescending and negative elsewhere, and) wish yourself the best of luck and happiness going forward European, simple as that. Too busy design, looks more like a Korean. Thats more like a Chrysler to me.